VietPress USA (Sept. 30, 2018): President Trump strongly accused Democrats to play the "con game" for blocking off the Senate vote to confirm his Supreme Court nominee Brett Kavanaugh. Trump urged the GOP controlled senate to vote immediately to confirm Kavanaugh as Supreme Court Justice before Election day on 6 November 2018. On last Thursday, Brett Kavanaugh and his accuser Christine Blasey Ford testified before Senate Judiciary Committee. When asked the details in his high school yearbook that backed up claims he was a heavy partier in his youth who would allegedly get blackout drunk , Kavanaugh testified to enjoying beer but denied ever drinking to the point where he had memory loss. 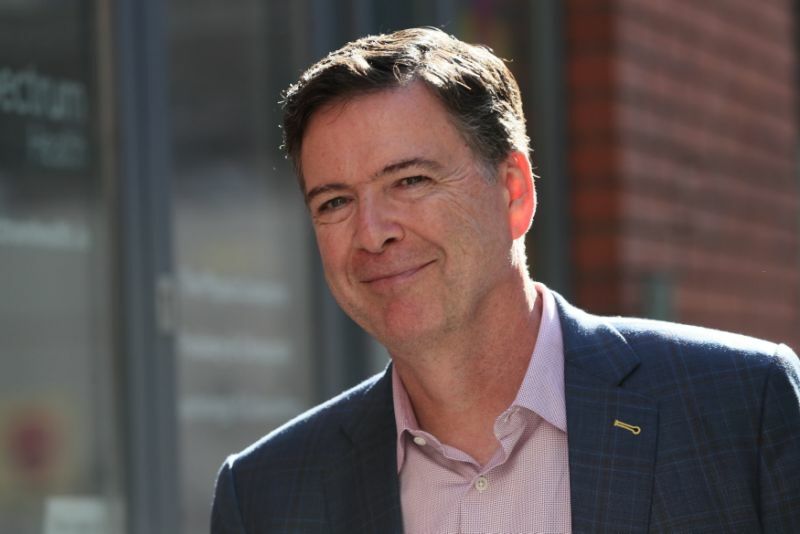 Comey’s words follow reports that the White House is limiting the FBI’s background investigation of Kavanaugh, who has been accused of sexual misconduct by three women, including Christine Blasey Ford and Deborah Ramirez. The Senate Judiciary Committee had initially declined to ask the White House for an FBI investigation, but Republican leadership relented after several moderate senators demanded one on Friday. Former FBI Director James Comey weighed in on the bureau’s investigation into sexual misconduct allegations against Supreme Court nominee Brett Kavanaugh. As for “nonsense,” Comey seemed to be referring to Kavanaugh’s testimony before the Senate Judiciary Committee on Thursday, specifically the nominee’s defensive responses to questions about his high school yearbook. Though the book appears to back up claims he was a heavy partier in his youth who would allegedly get blackout drunk , Kavanaugh testified to enjoying beer but denied ever drinking to the point where he had memory loss. Although Comey did not address specific restrictions the White House has reportedly imposed ― including limiting which people can be interviewed ― he did criticize the seven-day time limit. “If truth were the only goal, there would be no clock, and the investigation wouldn’t have been sought after the Senate Judiciary Committee already endorsed the nominee,” he said. Read Comey’s full op-ed here.